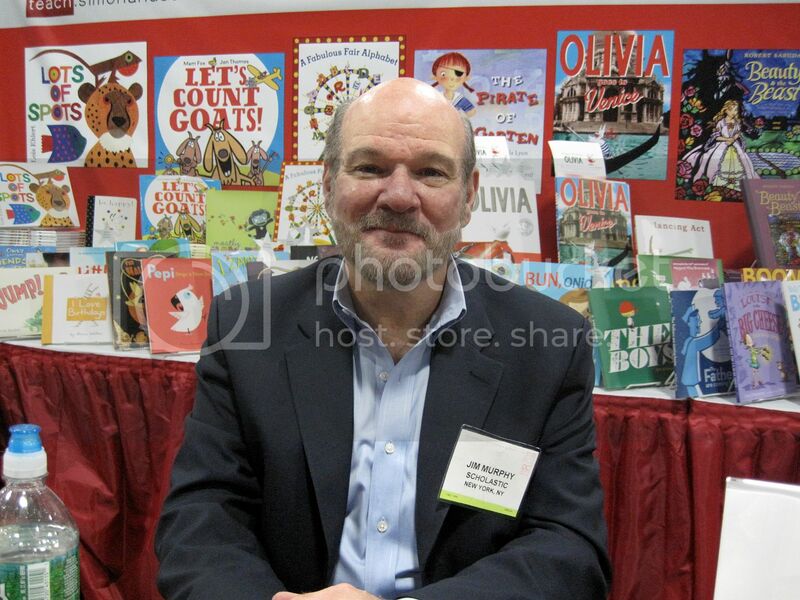 I’m just back from a whirlwind three days at the American Library Association Conference, which was just amazing. This is my third ALA Convention, and I’ve come away from each one energized by the passion and enthusiasm of librarians. As someone who grew up on weekly trips to the library, I know that these people are truly shaping the future with the books they put in kids’ hands. And once again, I left the convention feeling like our future is in very good hands, indeed. After an early flight and a fantastic White House tour Saturday morning (thank you, Senator Gillibrand!) I headed to the Washington Convention Center exhibit hall to sign THE BRILLIANT FALL OF GIANNA Z. and advance copies of SUGAR AND ICE at the Walker/Bloomsbury booth. 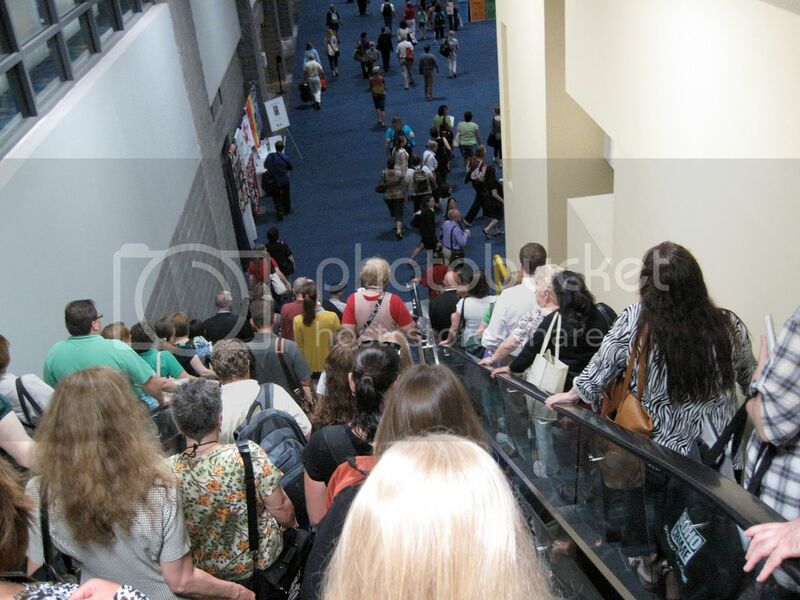 This is what it looked like heading down the escalators into the exhibit hall. You could smell the books even from the top! 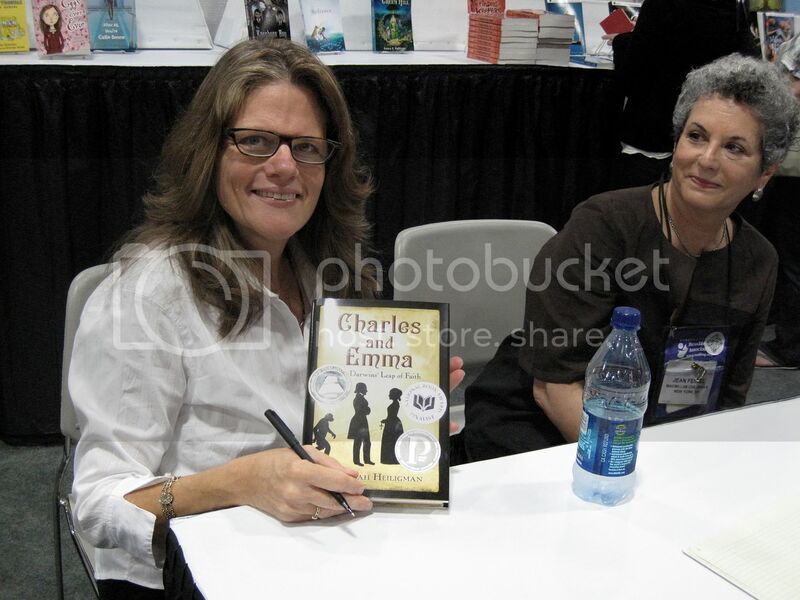 When I got to the Bloomsbury/Walker booth for my signing, there were already two girls there with their mom. One of them, Hannah, had read GIANNA Z. and wanted to be first in line for an ARC of SUGAR AND ICE, and really…I could have gone home happy right then. The rest of the signing was busy enough that I forget to get any photos, but I want to say a big thank you to everyone who came! HUGE thanks to the Walker/Bloomsbury team, too. It was extra-special seeing everyone this weekend because I just signed up for two more novels with my editor, Mary Kate, including the MG dystopian book I’ve been working on and a second novel for middle grade readers. I couldn’t be more excited! 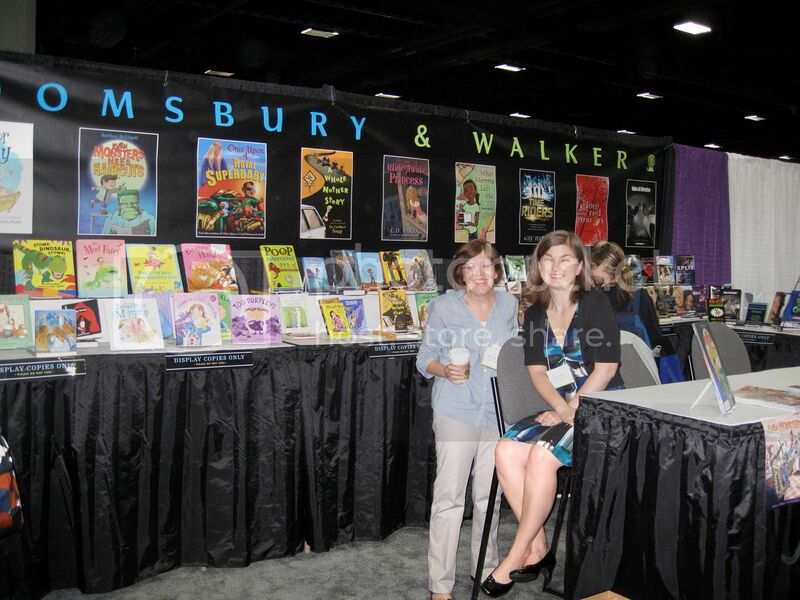 Here’s a picture of Beth Eller and Katie Fee, the amazing school/library publicists for Bloomsbury/Walker, in the booth. My kids were with me, so we spent a lot of time this weekend just walking around checking out all the beautiful books. 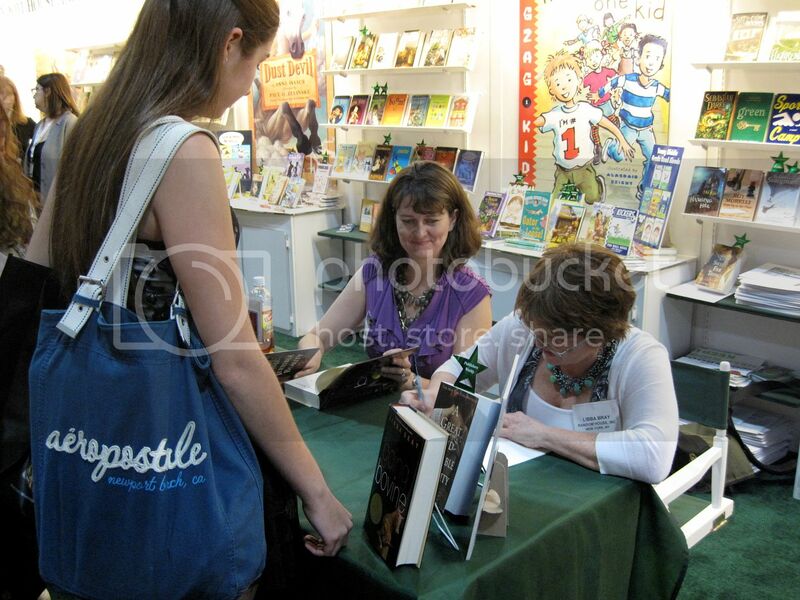 We saw my Chronicle editor, Melissa, at their booth, and met a whole bunch of other authors signing around the floor. 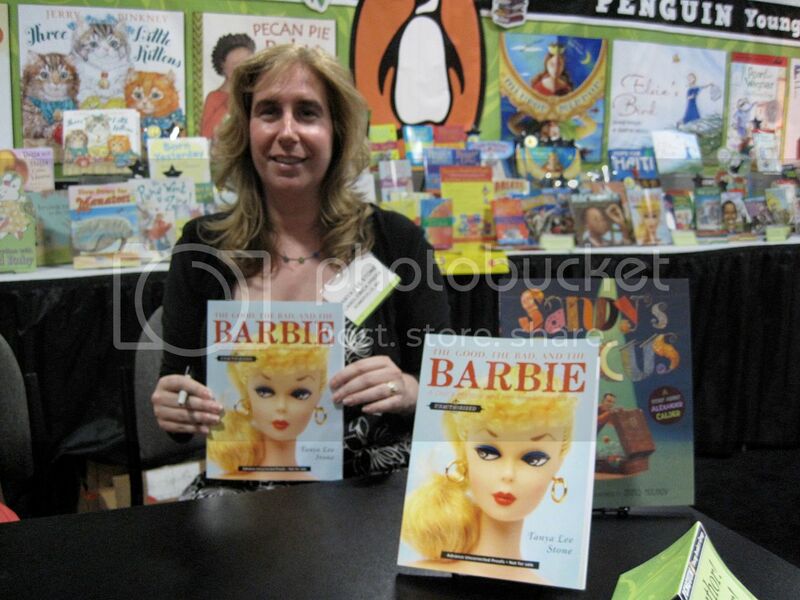 Tanya Lee Stone was signing advance copies of her new nonfiction title with Penguin, THE GOOD, THE BAD, AND THE BARBIE. Here’s Deb Heiligman with the amazing CHARLES AND EMMA: THE DARWINS’ LEAP OF FAITH, and Jean Feiwel of Feiwel and Friends. 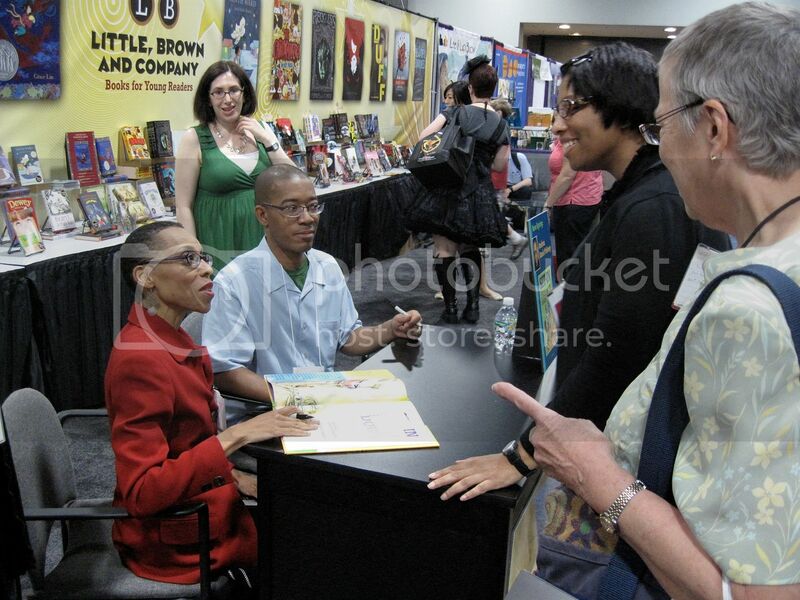 Here are Andrea Davis Pinkney and Brian Pinkney signing copies of SIT IN: HOW FOUR FRIENDS STOOD UP BY SITTING DOWN. 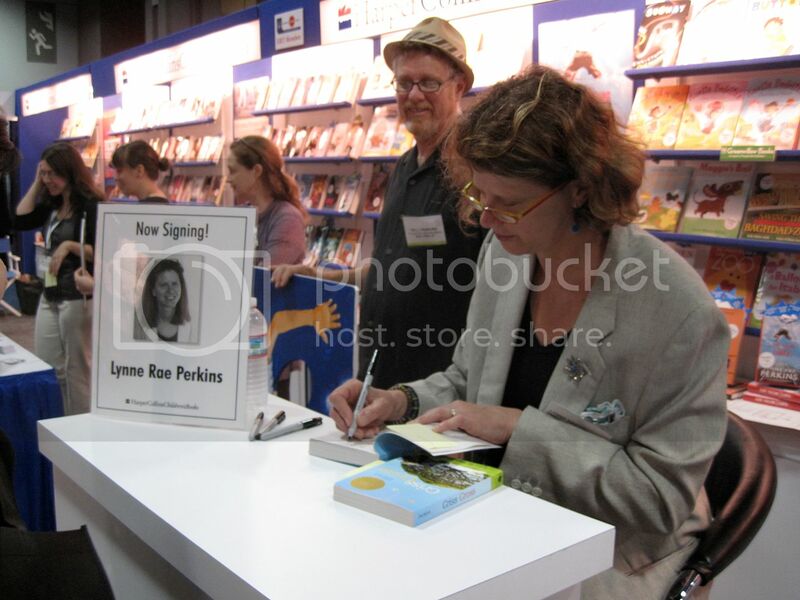 …and Lynne Rae Perkins, signing CRISS CROSS and her new title, AS EASY AS FALLING OFF THE FACE OF THE EARTH. 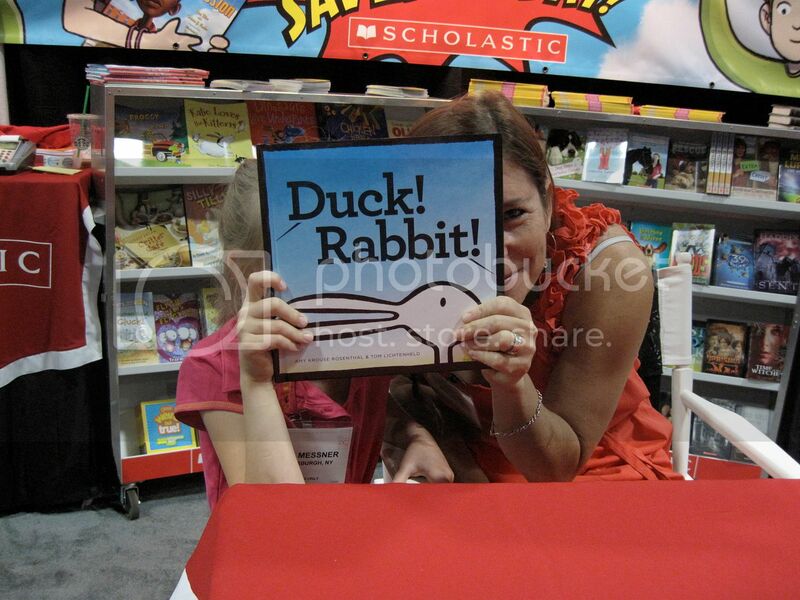 Here are Amy Krouse Rosenthal and my daughter. They are hiding behind DUCK! RABBIT! for some reason that I don’t remember now, but it made perfect sense at the time. 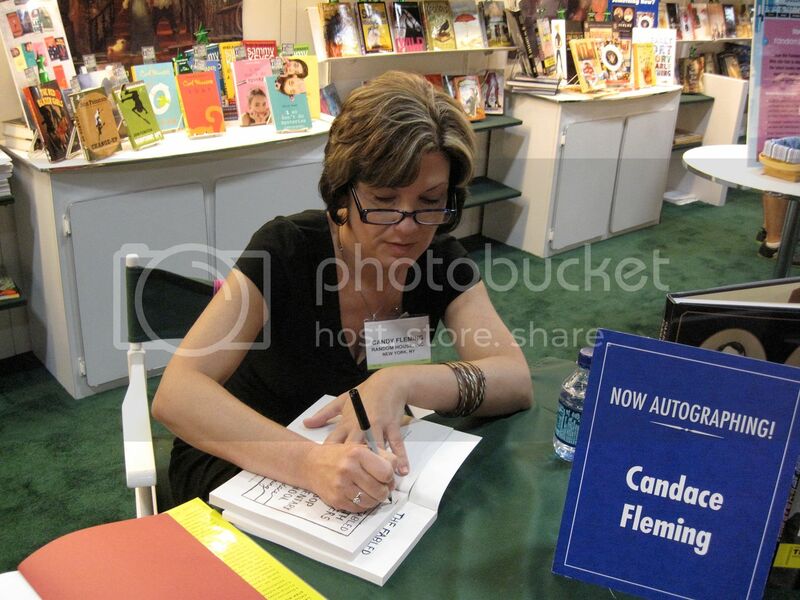 This is Libba Bray, signing books. She still had a very, very long line to go when I snapped this shot! …and M.T. 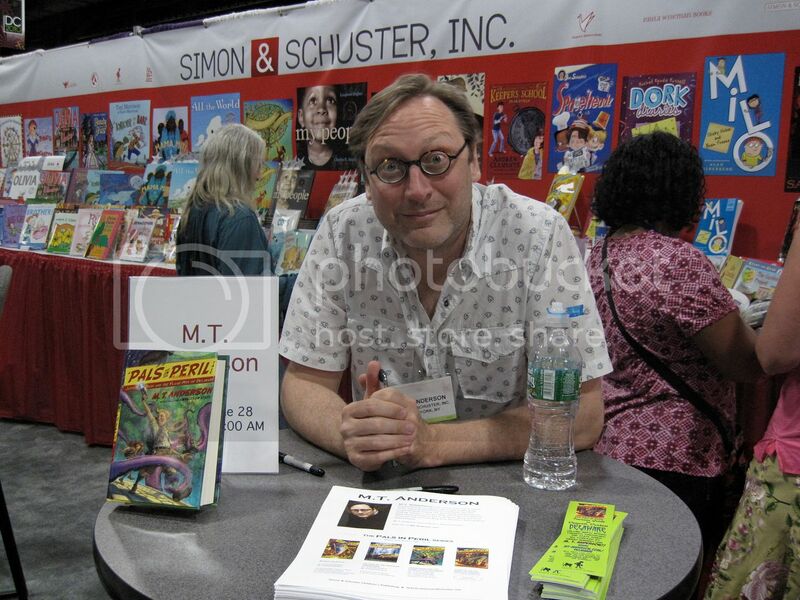 Anderson signing his PALS IN PERIL series at Simon & Schuster. 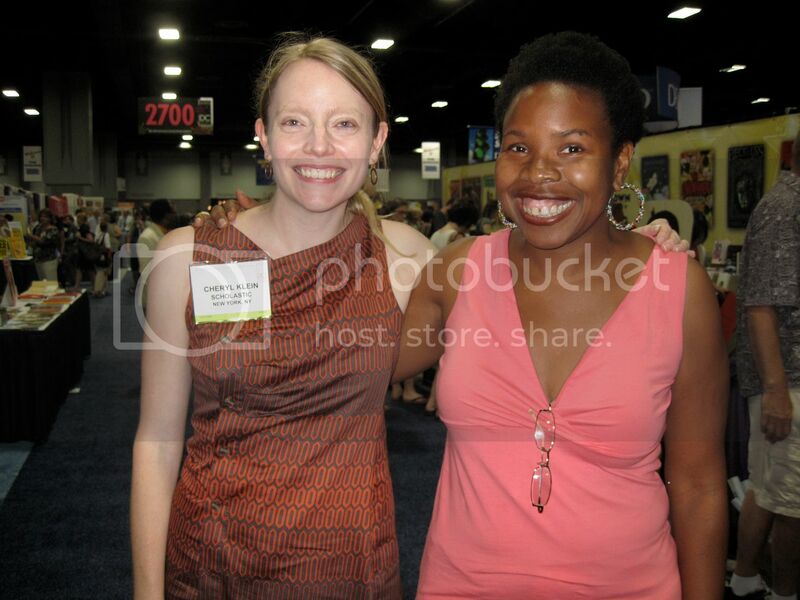 …and editor-author team Cheryl Klein and Gbemi Rhuday-Perkovich! 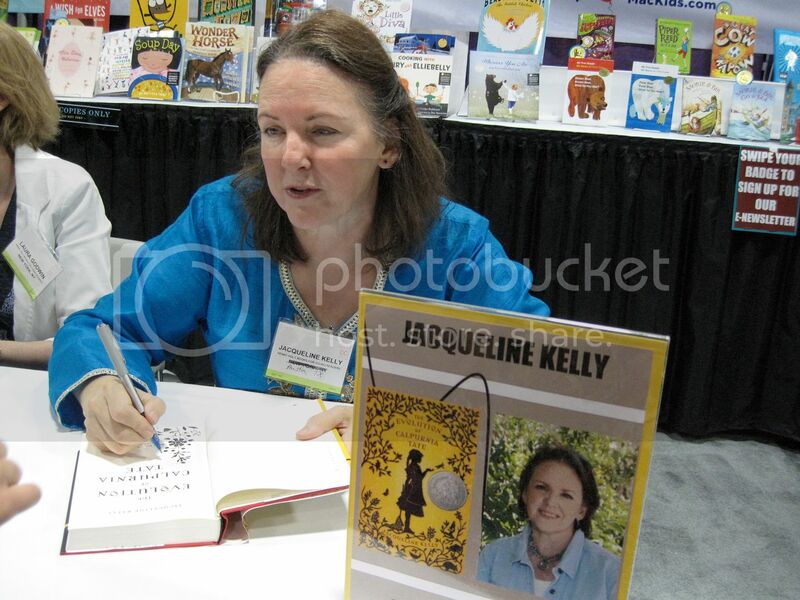 Still to come in a future post…the Scholastic Literary Brunch, the Newbery-Caldecott Banquet, and a whirlwind tour of the National Mall.